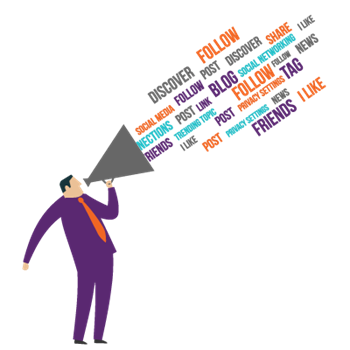 Are Your Chamber’s Social Media Posts Invisible? What story is your chamber telling with its social media posts? Does your story resonate with your target market? Is it reaching entrepreneurs and business people? Or is it rendering your message effectively invisible, hidden in plain sight? Recognize that everything you do tells a story. If someone dresses shabbily, it tells a story about them. If an organization is mainly self-promoting, that may tell their story. Imagine that a rich stockbroker is entertaining an important, prospective client tonight. He goes to the store to select a very fine bottle of wine. Perusing the shelves, he looks for the perfect match to go with tonight’s meal. His eye bounces from expensive wine to expensive wine, searching for something really special. There on the top shelf, is a vintage of wine that recently scored 100 points in Wine Spectator magazine. The stockbroker’s decision is made - because in this case the right story reached the right customer. Now, do you think that when the rich stockbroker is browsing, he even notices the newest brand of boxed wine on the shelf? No. He didn’t notice it. It was effectively invisible to the stockbroker because the boxed wine tells a story to its customer. Next picture Jim, a dedicated and hard-working factory worker. He and his wife are hosting friends for dinner and he is looking for a reasonably priced table wine. In this case, Jim notices the new brand of boxed wine, but does he notice the highly rated Wine Spectator vintage? Probably not. It is effectively invisible to Jim because of the story it tells. Now, apply this concept to your chamber’s social media posts. If you are posting content that doesn’t appeal to the interests of your target market, it is effectively invisible because you are telling the wrong story. So, what story should you be telling? What will not be overlooked or ignored? Posts that educate, inspire, or entertain business people. When sharing educational posts, offer guidance to your members (and prospects). Recommend ways to generate more revenue, cut costs, manage their time, or stay out of trouble with the tax man. Those stories will likely reverberate with your target market. On occasions that you’ve scheduled inspiring content, share stories, quotes, and images that both motivate and encourage. Generally, these posts are appealing across the board. Entertaining content is always in demand. Post photos from recent events and don’t be afraid to share videos. Videos which result in laughing or crying are popular and often result in post-sharing. What story shouldn’t your chamber be telling? Avoid posts that interrupt the reader with advertisements, flyers, or boring business announcements. For example, I’ve seen some chambers use Facebook to share their office hours - no! Remember, the key is to post what your audience wants to see and avoid things they don’t care about. Take into account that they don’t care about you, they care about themselves, their families, and their businesses. Making social media platforms about the chamber is bound to fail because again, your posts will be rendered effectively invisible. To put it simply, share what is relevant to your target market, and not what necessarily resonates with you. 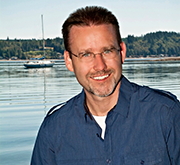 Frank J. Kenny is an internationally recognized author, professional speaker, and consultant. He is on the faculty of the U.S. Chamber of Commerce Institute for Organization Management (IOM) and the founder of the Chamber Professionals Community. He has taught social media, digital marketing, and technology strategies to business audiences from around the world. As a former Chamber of Commerce President and CEO, he led a team that doubled the membership over an 18-month period, primarily through their social media and digital marketing strategies. Frank, Norma, and Trixie travel full-time in their RV, visiting and working with chambers and their members.